A man neighbors said was known to stroll his southern California neighborhood dressed as a woman has been accused of cooking the flesh and bones of his 73-year-old murdered wife in their kitchen. Anna Faris was found dead in her Oceanside home at 11:10 a.m. Friday after neighbors reported a foul odor coming from the residence, NBC 7 San Diego reported. When officers went inside the home, they said they found the dismembered remains of the deceased woman cooking in pans in the couple's kitchen. The heat was still on when authorities gain entrance into the residence, according to a complaint read by Katherine Flaherty, Deputy District Attorney with the County of San Diego. 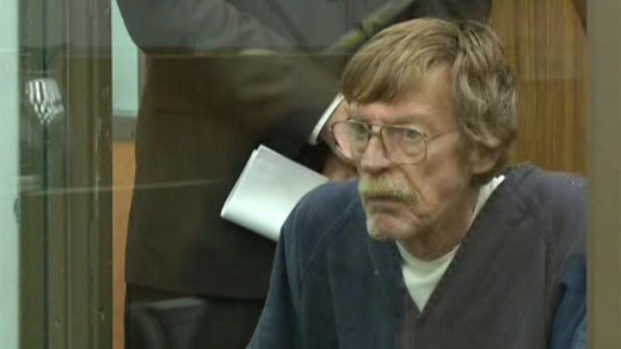 68-year-old Frederick Hengl is accused of attempting to cook and dismember his wife. Investigators also found Faris' head in the freezer and a work bench used for the mutilation in the bathroom. Near the work bench was a saw, a boning knife, other cutting instruments and pieces of bone in a plastic bag. Flaherty said there was no evidence of cannibalism. Detectives say they located the woman’s husband, 68-year-old Frederick Hengl, in downtown Oceanside Friday. He voluntarily went with officers for questioning. “After a brief conversation, police realized he was in the process of dismembering his wife’s body,” Flaherty said. Prosecutors believe Hengl killed his wife on or between the dates of November 1 and 16. In court on Wednesday, he pleaded not guilty to three charges filed against him, including first degree murder and committing an unlawful act with human remains. His bail was set at $5 million. Police said they’re familiar with the couple, but hadn’t been to the residence recently on calls of domestic violence. However neighbors told NBC 7 San Diego on Friday that the couple was known for some unusual tendencies. “She always carried around a knife. Just really weird; hostile,” recalled neighbor Eric Chavez. The woman’s name and official cause of death will be determined by the Medical Examiner and released at a later time. Hengl was booked into the Vista Detention Facility on a first-degree murder charge.